The Lower East Side between 1972 and 1985--filled with artists, wannabe artists and hangers-on--was a community of the misbegotten gathered from every town in America and relocated in the mean streets between Broadway and the Bowery, and Peter Hujar was right in the midst of it. Nothing but talent, flamboyance, rank gender-bending mockery and arch irony supported these artists: some made their names, many came to grief and a few made art. In those days, the gutted streets of the Lower East Side resembled a war-zone. Though some established artists had passed through--Rauschenberg and Johns, John Cage and Merce Cunningham—almost everyone lived and worked on the extreme outer margins of money and art, penniless and unknown. As a community, downtown New York was a counterstatement to the rich New York of the banks, museums, media, corporations and the art world itself. That downtown New York is gone: time, gentrification, disease and death have taken their toll and turned this vibrant epoch into a chapter in art history. 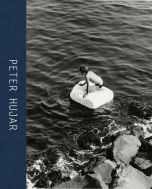 But before it vanished, its extravagant cast sat for Peter Hujar's camera, and with this volume, that community is vividly brought to life. 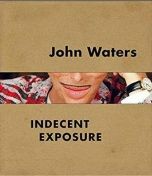 Featured are Charles Ludlam, David Wojnarowicz, Edwin Denby, Susan Sontag, Paul Thek, Divine, Robert Wilson, John Waters, William S. Burroughs, Ray Johnson, Fran Lebowitz, Remy Charlip, Joe Brainard and many others.